No Bake Almond Cheesecake! Secret Recipe Club Reveal Day! I'm slowly becoming more of a chocolate dessert person. I used to just enjoy chocolate pieces and truffles but not usually chocolate cake or chocolate based desserts. My current obsession is molten chocolate cake. I could eat it every. single. night. I'm also a huge supporter of fresh whipped cream made with heavy cream and powdered sugar (and sometimes vanilla). 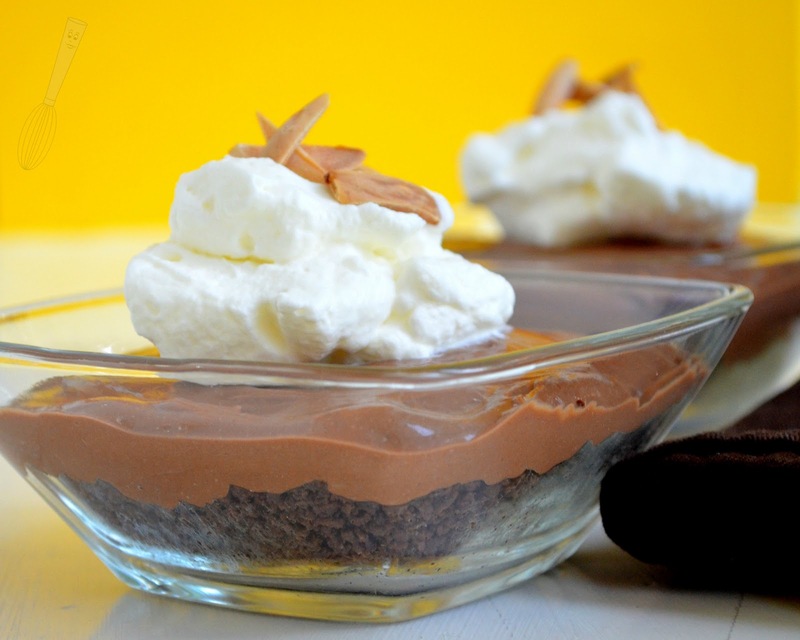 It adds such a lovely flavor and nice light texture to desserts. If you've never heard of The Secret Recipe Club before, then you can find out more information by clicking here. The idea is that all of the members are assigned a blog (secretly of course!) and each member can peruse their assigned blog to find something that they would like to make, or several things to make in the future. The assigned blogs are kept completely secret until the reveal day and time, then you get to see who had your blog, and you get to post about what you made from your assigned blog. It's a lot of fun, and a great way to discover new blogs and recipes. You can see my previous reveals here, here, and here. This month for the secret recipe club I was assigned to delishhh.com. Ewa has lived around the world and brings those experiences to her blog and you can see the influence in her recipes. I decided that I wanted to make the No Bake Nutella Cheesecake or the Swedish Cinnamon Buns "Bullar" after looking through all of her delicious recipes. I was also interested in some of the other fun recipes for another time though, such as the Västerbotten Cheese Pie, Strawberry Cake, and the Brioche Cinnabun. Ultimately, I decided on the No Bake Nutella Cheesecake, but I don't like hazelnuts. 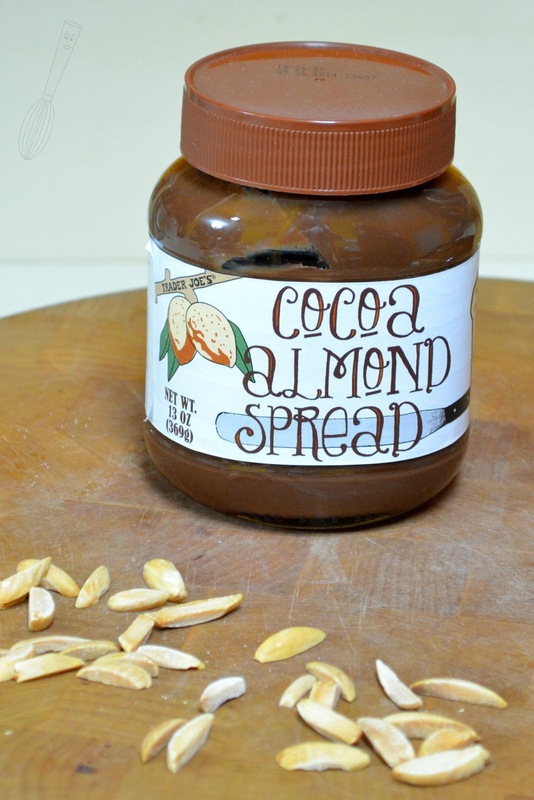 I had heard that Trader Joe's has a Cocoa Almond Spread similar to Nutella but I hadn't tried it. So, I picked some up for the cheesecake and I have to say it's really good :). If you don't like hazelnuts then it's a perfect substitute for Nutella! 1. Pulse the graham crackers (or cookies) in a food processor until it is finely ground, then add the butter and pulse several more times until blended. Press the crumbs into an 8” springform pan or evenly divide between eight individual bowls, pressing the crust in firmly. Chill the bowls or the springform pan in the refrigerator. 2. In a mixer, combine the cream cheese, powdered sugar, and vanilla until smooth and creamy. 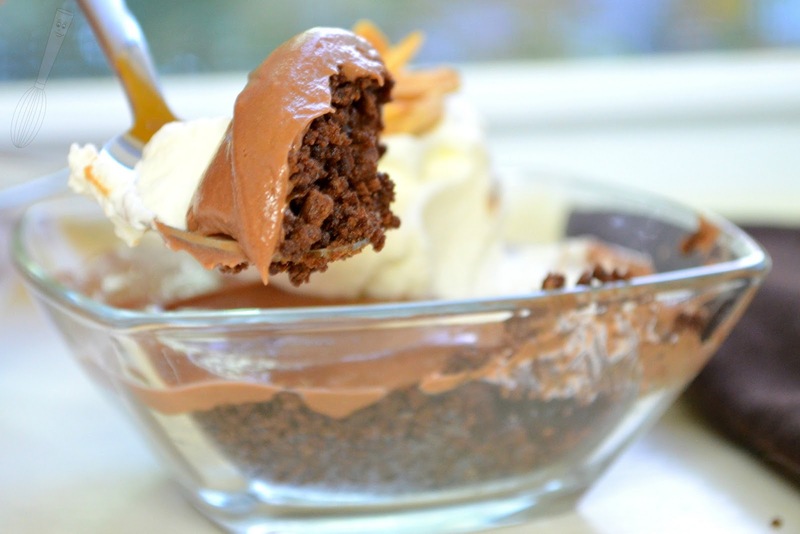 Scrape the bowl with a spatula, then add in the Cocoa Almond spread. Pour in the ½ cup heavy cream while the mixer is on low speed, then continue mixing until the filling has a mousse-like texture. 3. Pour the filling into the springform pan or the individual bowls, smooth the top, then chill for a minimum of 2 hours for the small bowls, or 4 hours for the springform pan sized cheesecake. If desired, serve with a dollop of whipped cream and some toasted almonds, or chopped Ferrero Rocher chocolates if you used Nutella.